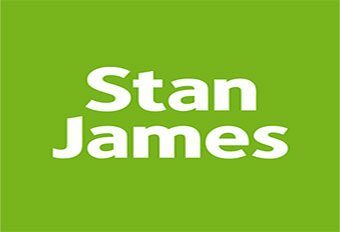 A name that’s synonymous with the betting industry, Stan James has been at the forefront of the sports betting industry over the last decade, but their casino is somewhat underrated. With a global outreach, Stan James uses multiple providers to deliver their portfolio of online games. A licence is held in Gibraltar as well as by the UK Gambling Commission. Founded in 1973, Stan James’ specialty is in-play betting, having invented the concept of it. The organisation owns over 90 betting shops across the UK, providing online and mobile betting in addition to casino games and poker. The casino is available in both English and Greek; however it is not accessible to players based in Denmark, France, Italy, Singapore, South Africa or the USA. Due to a wide usage of leading software providers, Stan James are able to offer a well-stocked casino packed with games, the most popular of these being video slot games. The casino understands the necessity to keep refreshing what’s on offer and they accomplish this by adding approximately 5 new games each month. Table game aficionados will enjoy Stan James who not only offers every table game, but multiple versions of each one, such as over 8 different types of blackjack from NetEnt, as well as different types of baccarat and roulette. Video Poker is also available which is developed by Amaya. There are 8 different variants, including Joker Poker and Deuces Wild. As already mentioned, Amaya provide the video poker element of the casino, however the slot games are provided by both NetEnt and Microgaming, ensuring that the best game titles can be found on their casino. Stan James also has a superb mobile casino, which players can register on before signing up to the main casino. Games are compatible on both iPhone and Android devices, in addition to availability in Blackberry and LG. The casino is instant-play, hence there’s no requirement for downloadable software. Stan James welcomes new players with 5 free spins with no deposit required. As well as the free spins, players also have their first deposit matched with 100% up to £100. As is the case with most casinos, a Game of the Week is on offer, with players able to earn double rewards upon winning. A £5 bonus is also on offer to players who wage over £10 on the daily Bonus Game. Payment methods are limited at Stan James, however, there’s enough for most players to still play. UK-issued debit cards, credit cards, Skrill, Neteller and PayPal are the methods available, alongside bank transfers. The minimum deposit for the casino is £5. The casino has a rigorous security procedure in place, with all data encrypted and protected by the servers, with the Stan James accounts department, the only people able to access it. Stan James also regularly audits its games and publishes the results on the TST icon at the bottom of its homepage. Stan James has a support team that works 24/7, ensuring that players can find all the answers they need for any issues they have. The live chat is the focal point of the support team, with players able to get instant replies upon messaging. Players can also contact the casino via Freephone and email from the UK.